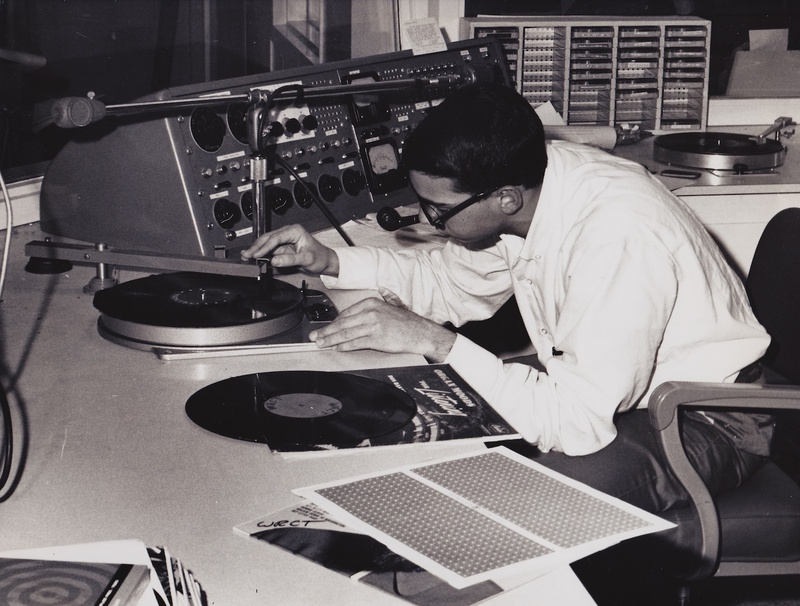 WRCT is the campus radio station at Carnegie Mellon University and in the late 1960’s Ken Lutz, a music major, decided to do a radio show based on recitals given in the Exhibition Hall of the College of Fine Arts. Since I was a technical drama major, I was familiar with the glass ceilings of CFA and I helped Ken by hanging the microphones to record the recitals. This entailed walking out over the two story glass ceiling on the mullions between the glass panes. In the process we discovered a way from the ceilings into an old fan room off the practice hall that had been locked for years. After some research and discussions with the Dean and the head of Physical Plant, both of whom thought the room belonged to the other, we were given a key and it became the music departments first recording studio. The picture with the record turntables is the WRCT studios in Skibo. The picture with the tape recorder was our first setup in CFA. In the 1960s, WRCT was mostly run by engineers and drama students. Between them they designed and built the equipment and created the content for the shows. 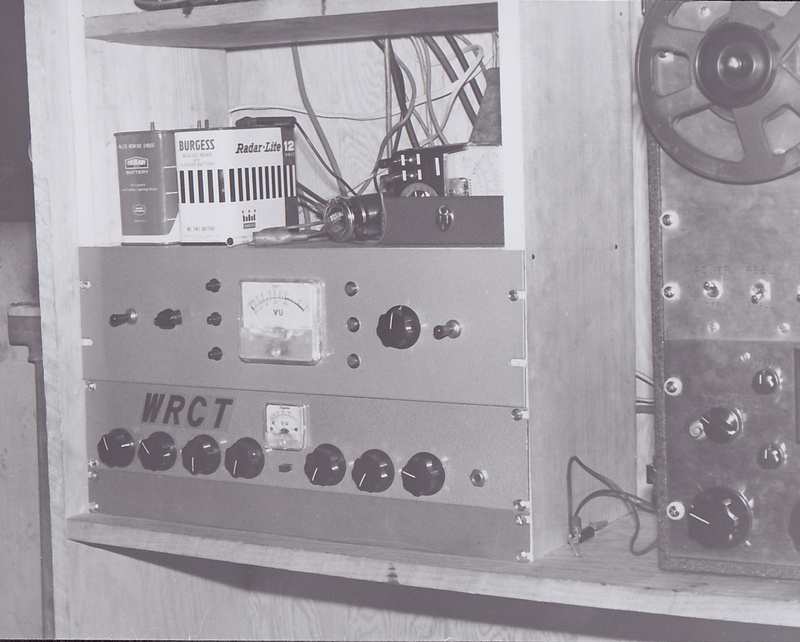 Both the studio console and the small battery powered mixer shown were designed and hand built by the members of WRCT. Tomorrow, I will tell you about how we designed and built our own condenser microphones.